The company present high end Maltodextrin in the marketplace as it is one of the leading Maltodextrin suppliers. The Corn Maltodextrin is a sweet polysaccharides often used as food additive. It is easy to digest and is absorbed quickly. It is a creamy white hygroscopic powder. 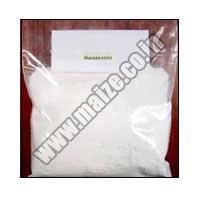 Besides, we are also counted among the most prominent Maltodextrin Exporters in the country.